Are you craving for Puerto Rican cuisine but you are far away from the island? LA COSINITA LATINA is at your service! We are based in West Palm Beach. Whether you want to have Puerto Rican for lunch or treat your family to Puerto Rican dishes for dinner, we are here to please you. You are in Puerto Rico and you haven't tried the Mofongo? Well, that's like being in Paris and not visiting the Eiffel Tower! Known as the unofficial king of Puerto Rican cuisine, Mofongo is a combination of three cultures and 500 years of culinary heritage. It is a tasty and filling concoction of mashed plantain, seasonings and unlimited choice of filling. The filling can be vegetarian, shrimp, steak, pork or seafood. It depends on your dietary preference. 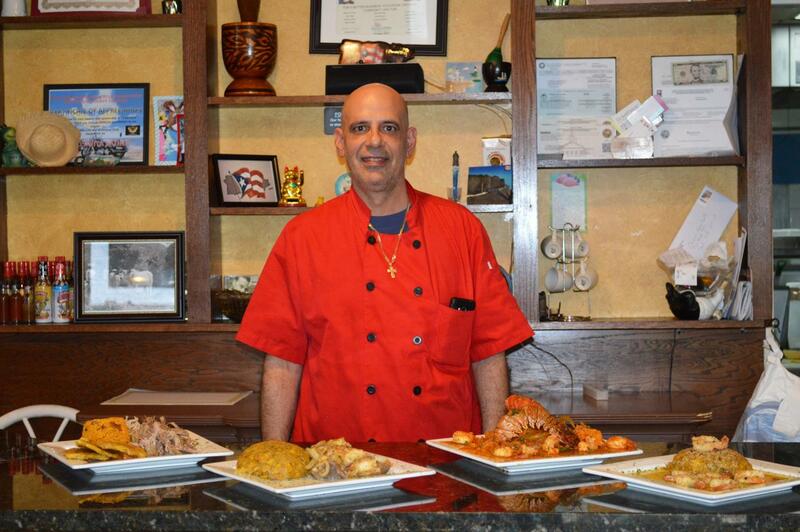 At LA COSINITA LATINA, we have expert cooks that prepare the most delicious Mofongo. LA COSINITA LATINA is the ideal place to taste a variety of Puerto Rican and Latin cuisine. We offer a wide array of affordable dishes, great ambiance and our friendly staff are eager to help satisfy your cravings for great Cocina Criolla. Our restaurant is open from Tuesday to Sunday as from 8 am till 8 am. Perfect for your family gathering, private events, or birthday dinners, our restaurant also provides catering services. Call us to book your table. Enjoy our signature dish – Mofongo in a cordial setting. We are the ideal spot for your family gathering and other private events. Come along with your family. We promise you'll not get disappointed.